Slick Marketers was founded by three college students, at the beginning of the decade, in 2010. Founded with the three core values of business, fun, and community in mind, YoYoInk has become highly regarded for offering top-quality printer ink, at incredibly low prices. The founders of YoYoInk recognized just how increasingly important printer ink was becoming and were openly critical about the outrageous prices that original manufacturers were charging. 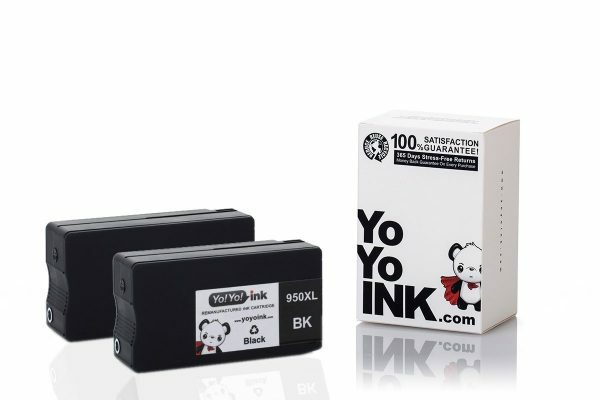 As a result, YoYoInk set out to sell cheap and reliable remanufactured and compatible ink cartridges, such as HP 950 xl ink. All three core values are essential to the culture of YoYoInk, but business is most important due to the emphasis on turning a profit. In other words, with every sale of products such as HP 950 ink, the business aspect of the company is strengthened. Nonetheless, business cannot be sustained by profit alone. Passion is often required to supplement profit, with genuine passion fueling the business regardless of the amount of profit being made. The three founders of YoYoInk found that passion in the classroom and have passed it down ever since. Although passion is extremely important to the business aspect of the company, the same can be said about fun. Fun may not come across as an obvious choice for a core value at a printing company, but one look at the YoYoInk mascot, and it all starts to make sense. Super Panda is the fun, heroic mascot that a company like YoYoInk needs, to wage war against the big businesses that seek to make more money off of printer ink, than the printers they sell. With each sale of products like HP 950, Super Panda can mark yet another small victory in the book. If buying cheap yet reliable ink from an animated panda superhero doesn’t make for a more fun experience, we don’t know what does. First there’s business, then there’s fun, and finally there’s community. Despite community being the last core evalue listed, it’s certainly not the least important. In fact, community encompasses all that is a part of YoYoInk, including business and fun. This is because the community includes all those involved with the company, both as consumers and as employees/owners. As one half of the community, customers feed the business and experience the fun of Super Panda by purchasing products including 950xl ink. Furthermore, Super Panda engages with the community both through social media and the company website. On the website in particular, there’s a Super Panda warranty that offers a 2-year, 100% customer satisfaction guarantee on all products. If not satisfied, all products can be returned with your money back.